I'm not going to lie to you. This week did not go well. It started with my youngest off school ill, then had my eldest off school ill, and to top it off my husband was on holiday from work (a good thing don't get me wrong), which meant time I would usually have spent writing got used for other things. I started off on a high, hitting 25K. 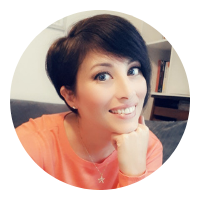 To celebrate I went and cut my hair off for charity. Yep, no more long hair. It's now on its way to The Little Princess Trust to make wigs for kiddos with cancer. A good cause I think you'll all agree. Unfortunately for my word count, that was the only high of the week. In fact, I had several days of 0 words after that. I did get an idea for another book though whilst we visited Civita di Bagnoreggio... maybe next year I'll try my hand at some young adult? Hoping for a better week ahead. A slow week on this too, but I did do some little bits in and here. I had hoped to have this finished by now, but at least I'm not far off now. This is the only challenge where I'm actually ahead of myself. I really like some of the ideas I've added to my list too. 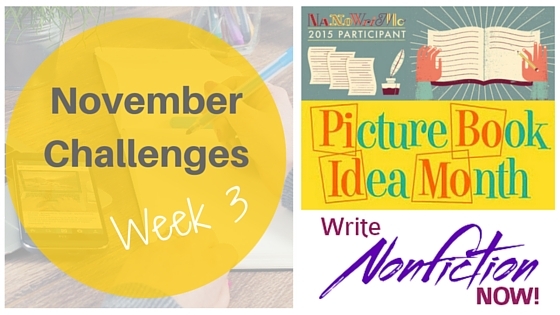 Are you taking part in a challenge this month? How's it going so far?